Marmite. You either love it or you hate it, right? Wrong! I used to absolutely detest it. Couldn't bear the smell or the taste. Refused to have it in the house. Until I got pregnant with Evie and all of a sudden I craved it literally aaaaalll the time, and smothered it on anything and everything. 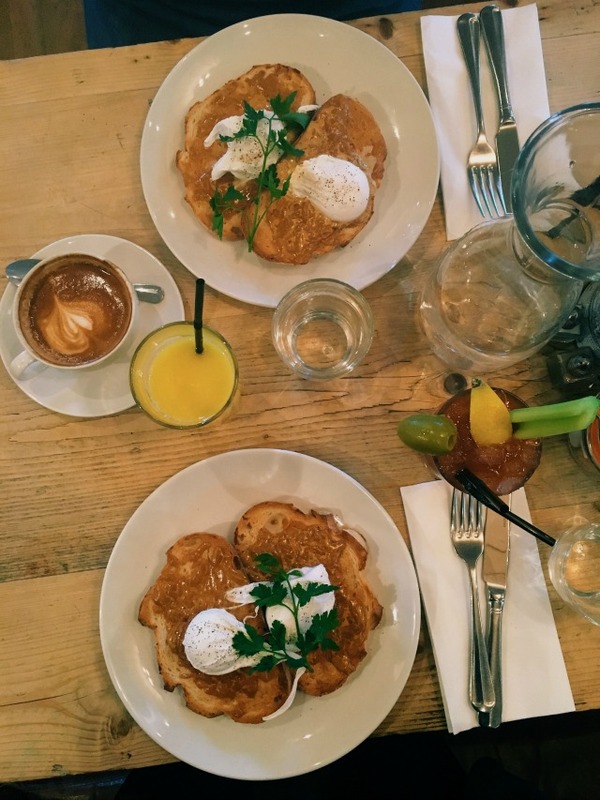 These days I'm one of those weird people that can take it or leave it, but for some reason the old cravings always come back when I'm nursing a bit of a sore head after a night out! So bright and early on Saturday morning, when I was feeling ever so slightly delicate after celebrating a 40th birthday the previous night, my friend Laura and I made our way to Bill's in Richmond for some medicinal Marmite. 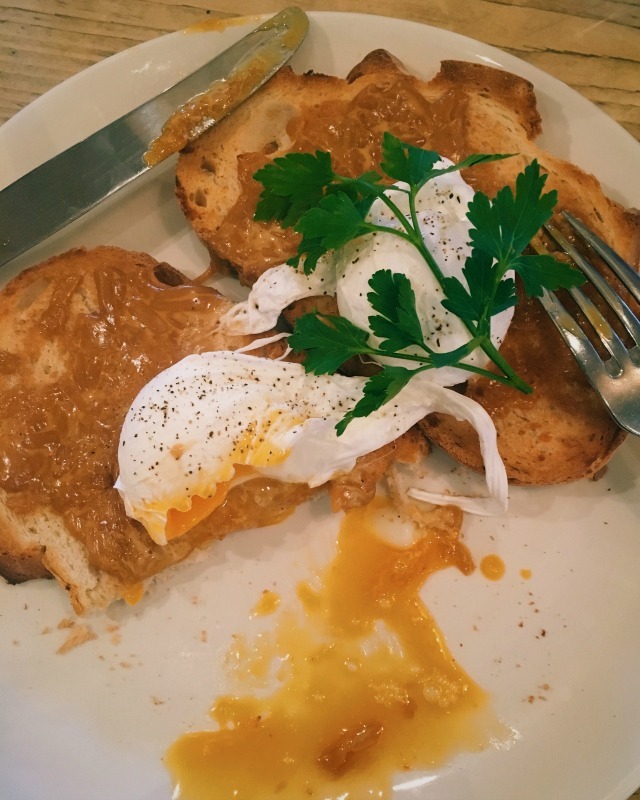 Bill's have teamed up with Marmite to serve a limited edition all day breakfast menu at participating restaurants up until this Tuesday (31st January). 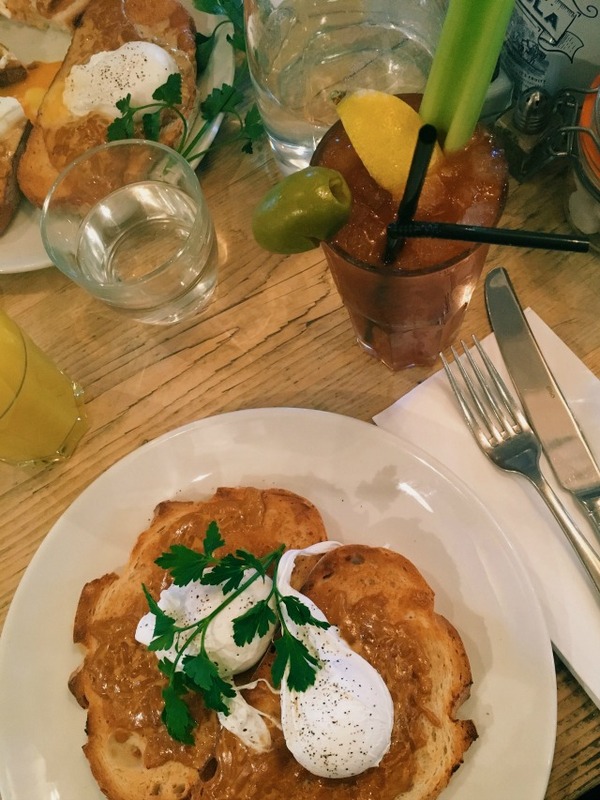 Any customers who use the code ''Spread the Love" can unlock a secret Marmite infused brunch menu featuring Marmite Rarebit and Marmite Mary cocktails! 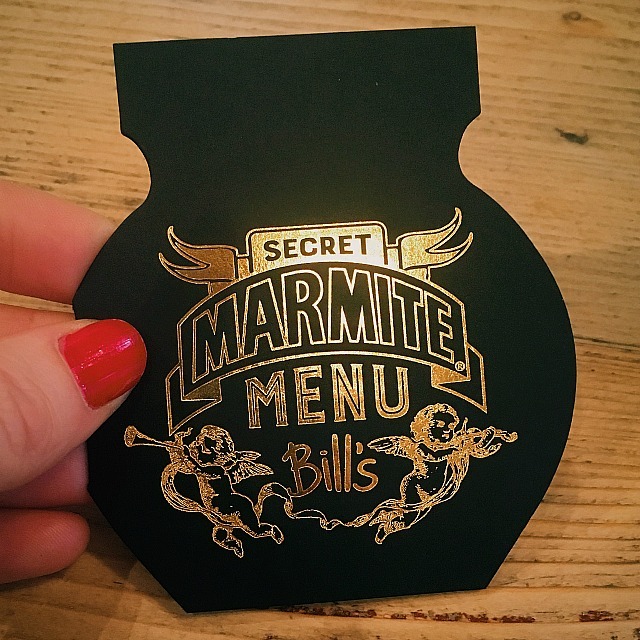 If you're a Marmite lover and you're free today or tomorrow, make sure you give Bills a visit and sample this special, secret menu! All customers that order from it will be given a special 8g 'Mini-Mite' pot, which is due to launch later this year. Our meal was complimentary in exchange for this honest review.